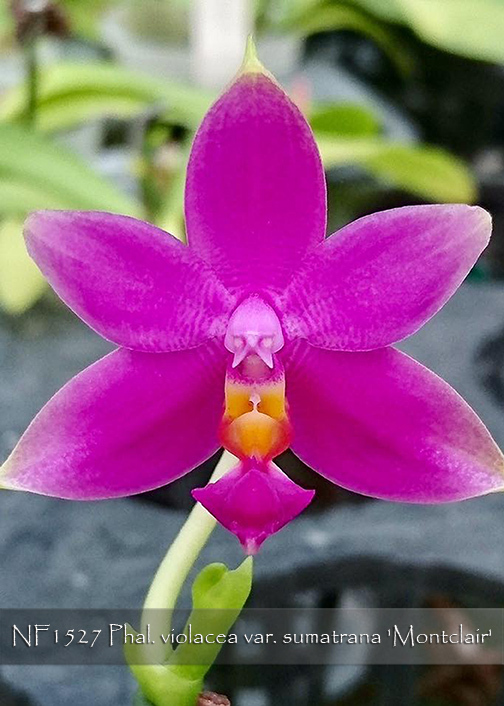 This new and very fine strain of violacea comes from Sumatra where the flowers tend to be fuller and are more brilliantly colored rose-purple with varying degrees of green at the tips of the sepals and petals ! Although slow to reach maturity, once flowering they will continue to produce buds on older spikes, in addition to producing new, on gently cascading compact spikes. And this new strain has already shown great vigor by already flowering in just 2.5” pots. Its waxy long-lasting flowers produce one of the most famous and sought-after of fragrances in the orchid world. 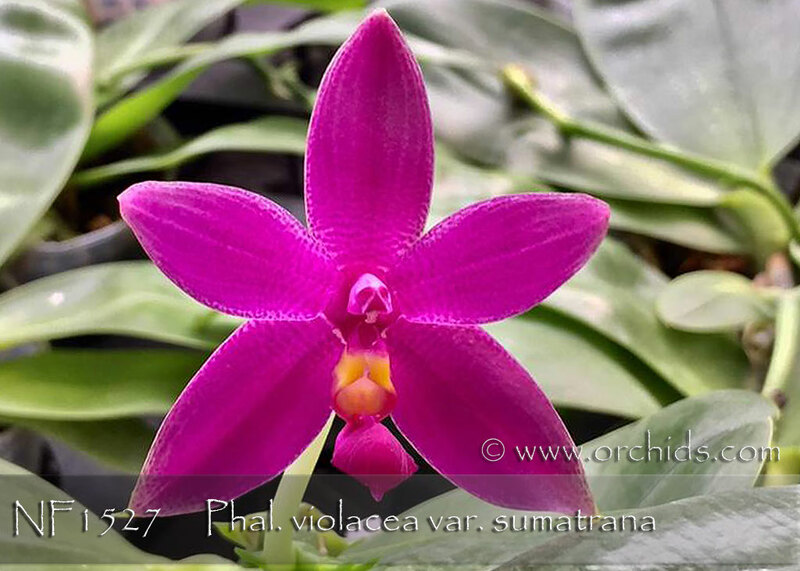 An important species to include in any Phalaenopsis species collection. Highly Recommended !